Are you a local Deaf or disabled person, who has had an issues with a bus stop that is not accessible? Is there a bus stop that stops you in your tracks? Bromley Mobility Forum want to hear about it! 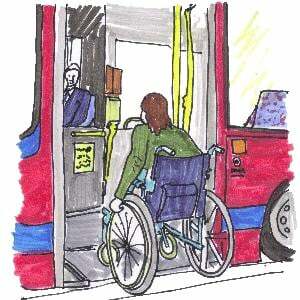 Currently there are 365 bus stops in Bromley that do not meet the bus stop wheelchair access standards. We are looking for people to tell us about their experiences, as it’s time to name and shame those bus stops standing between you and being part of your community. Together, we can raise awareness and make a change that gets you back on the move again. All you have to do is send your stories to Justine@xbyxbromley.com Please make sure to mention the 2 points and the 3 if you can.